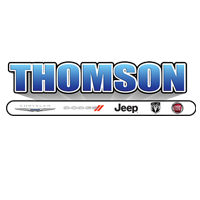 When you visit Thomson Chrysler Dodge Jeep you can find inventory of all the latest vehicles. We know folks in Greenwood deserve the best, and we hope you’ll give us the opportunity to provide you with it. For car shoppers in the Greenwood area, we can assist you in finding the right new or used vehicle to meet your needs right from our online site. For daily errands or long road trips, Thomson Chrysler Dodge Jeep is sure to have something in stock to meet your goals. Searching for a pre-owned car in South Carolina? Start your search with Thomson Chrysler Dodge Jeep and save yourself time and money. The advantage of shopping with us means you have access to an extensive variety of used vehicles from which to locate your dream car. Thomson Chrysler Dodge Jeep wants to make achieving your goal of an affordable car loan near Greenwood a quick and easy reality! With friendly financial experts on hand to assist you, we at Thomson Chrysler Dodge Jeep can get you a loan that fits your budget without the stress. Everyone has financial concerns, and our people are at your disposal to help you get a loan that fits your situation. If you have got a problem with your Chrysler, Dodge, Jeep, Ram vehicle, then bring it by and let our knowledgeable service personnel diagnose and solve the trouble. If you’re having trouble finding certain parts or accessories, our experienced staff can assist you. If you’d like to make an appointment with our service staff you can do so by creating a vehicle service appointment here on our site. The town of Greenwood was named around 1824 for the plantation of an early resident, John McGehee, Jr. McGehee’s wife Charlotte is credited with naming their 600-acre plantation “Green Wood.” The City of Greenwood, the county seat of Greenwood County, was chartered in 1857 and is today the seventeenth largest City in South Carolina. Greenwood is economic center of the Upper Savannah Region. Upper Savannah is comprised of Greenwood, Laurens, McCormick, Abbeville, Edgefield, and Saluda Counties of South Carolina.